All their beers are brewed in Princetown, at the heart of Dartmoor National Park, making Dartmoor Brewery the highest brewery in England, at 1465ft above sea level. There are four traditional ingredients in their brewing – Dartmoor malt, English hops, their own strain of yeast and pure Dartmoor water. We stock Jail Ale and Legend in our shop. Brian Sedgbeer is a local photographer specialising in wildlife and nature photography. His large range of greeting cards are printed on halcyon fine art card and cover a wide range of subjects including local deer and wildlife from Dartmoor to lions and elephants from…well…a tiny bit further away! Cox and Laflin are an award winning butchery located on the southern fringes of Dartmoor. They pride themselves on providing the best in locally sourced produce – a true field to plate process. The business was originally run from a cutting room on Dartmoor, but is now based at Ullacombe Farm. Alan and Kate moved to Ilsington from Bath to pursue their own interests and start a new life. 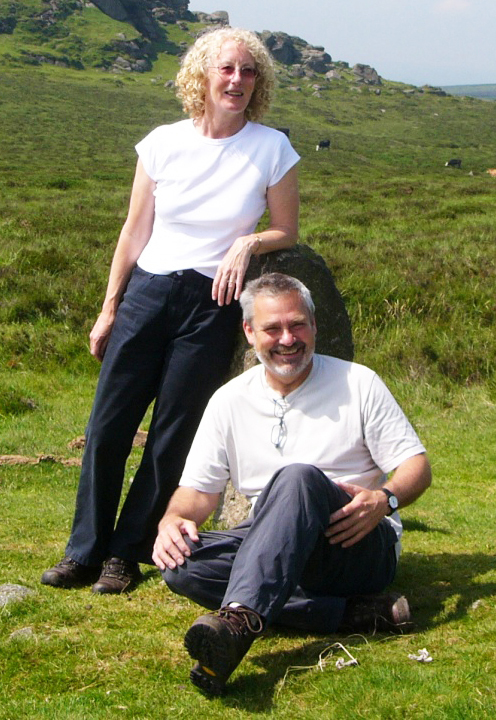 Apart from roaming the moors in their spare time, they took the opportunity to research and write two local walking guides Walk! Dartmoor and Walk! Devon for the publishers: Discovery Walking Guides. They run a smallholding in the village keeping a flock of rare breed whitefaced Dartmoor sheep, together with alpacas, chickens and bees. Their VERY local Ilsington Meadow Honey is renowned. Alan is Chairman of the Ilsington Village Shop Association and Kate can often be found serving behind the counter at the shop or helping run the Ilsington Community Market. Debbie has lived in Liverton with her husband, Laurie, and an elderly springer spaniel for 16 years. She is a full time nurse in Ashburton, with a life-long passion for photography. Laurie, an accomplished photographer himself, suggested that Debbie start turning her photos into cards for family and friends. This hobby has now grown into a wide range of cards available for sale at local fetes and country fayres, the Totnes Show, Buckfastleigh Farmers Market and the Ilsington Community Market. 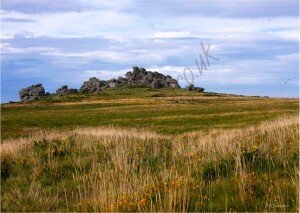 Many of Debbie’s cards feature local scenes of Dartmoor, its livestock and the rugged coastline of the South Hams. Chunk began in a Devon butcher’s shop in Ottery St Mary. In 2006, Simon Bryon-Edmond and Keith Walton joined forces to create awesome pies, pasties, pork pies and sausage rolls. Both come from Award Winning catering backgrounds and were desperate to produce the best pies and pasties in the South West. Simon’s wife, Suzi, joined the team and now runs the office and does all the design and marketing. In 2009, Chunk Pies hit the National stage by winning Britain’s Best Pasty – something which irritated the Cornish who banned them the next year for being from Devon! Since then, their “rustic gourmet” traditional style of cooking using quality, local, free-range ingredients has meant that Chunk’s pie, pork pie and pasty business has scooped more awards than any other company in the UK. Chunk uses pork from Kenniford Farm, Clyst St Mary, beef from Complete Meats, Axminster, Tor to Tor meat from Dartmoor, poultry from Creedy Carver Chicken, Crediton, and cheese from Coombe Farm, Somerset. All vegetables are sourced from local farms. Based in a converted woollen mill in Buckfastleigh, Sally and Chris Carson have been running Clive’s Pies for over seven years. Clive’s is the home of truly tasty organic “free from” foods – including veggie pies in a wholemeal pastry, pasties in a lovely crisp shortcrust pastry, gluten free pies and cakes which taste amazing, and wholesome ready meals, made with lots of exciting fresh vegetables. All Clive’s products are vegetarian (free from meat), free from all artificial flavours and preservatives and free from yeast. Most products are now gluten free and nearly all are dairy and lactose free. Where they do use dairy or eggs, Clive’s Pies insist on using Soil Association accredited suppliers to ensure the absolute best possible standards of animal welfare. family for generations. Peter and Sue Coleman and their son James have over 20 years of experience in raising barn-reared, free-range chickens and ducks. 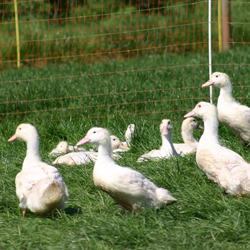 The whole family pride themselves on producing top quality poultry that has a truly amazing flavour whilst maintaining a very sympathetic approach to bird welfare. Creedy Carver ducks and chickens are raised on an additive-free diet. Creedy Carver is served in Gordon Ramsey’s Maze restaurant, W1 Brasserie owned by Gary Rhodes and The Ivy in London. Ullacombe Farm is a family run farm on the Haytor Road near Bovey Tracey.They sell an array of delicious food including free-range eggs, fresh veg, jams, ready meals, pies and cakes. The Farm Shop has evolved in the last 20 years from an honesty policy in the farmhouse porch to a converted hen house. The kitchen has now been extended and Victoria spends many an hour baking delicious cakes and tray bakes. Everything with the Ullacombe label on it is made in that kitchen! Laydilay eggs is a small family run business based in Ashburton. Andy and Mandy Johnson have a flock of over 1600 hens and chicks that they raise on organic land just below Haytor. Their “putting the chicken before the egg” attitude means that they produce great tasting organic eggs with a rich coloured yolk and a firm white. The perfect egg comes from happy chickens allowed to range freely during the day and tucked safely into houses at night. On Domesday Farm in Buckfastleigh, Luscombe Drinks have been producing small batches of award winning fruit presses, ginger beers and fruit juices by hand since 1975. Gabriel David, the managing director of Luscombe Drinks, took over the business from his father in 1998. Luscombe Drinks are certified organic and free from all unnatural additives or preservatives. Made with purely fresh ingredients, each batch varies slightly due to season, rain and sun. The famous cider producers, Inch’s Cider, was formed by Sam Inch after WW1 in Winkleigh. In the 1990’s, when Inch’s was bought by Bulmers, David Bridgman, the chief cider maker at Inch’s, decided to stay in Devon and carry on making cider on a smaller scale. With some of his family members, David bought part of the old Inch’s site and the Winkleigh Cider Company was born! Winkleigh Cider produce a wide range of ciders and scrumpies to suit all tastes including the famous Sam’s Cider. Hallett’s the Bakers is a local family run firm of traditional craft bakers. They produce bread, cakes, pasties, birthday cakes and wedding cakes in their purpose built bakery in Paignton. As well as an impressive selection of different breads and rolls, delicious croissants, Danish pastries and scones are delivered daily so why not treat yourself while you enjoy a cup of coffee in our café? Hallett’s are a big supporter of the Ilsington Village Shop and their large white rolls are often used at the Ilsington Community Market for the best bacon roll in town! Produced and bottled at Little Comfort Farm situated in North Devon’s famous Tarka Valley, Tarka Springs has rapidly become one of Devon’s most well-known bottled water brands. 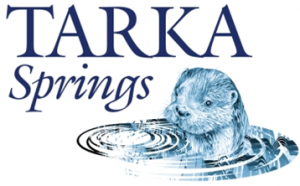 Tarka Springs was started in 2001 when Neil Folland (Managing Director)decided to diversify the farm. Work soon started on converting the old milking parlour into a modern bottling factory and then Anna Moseby, Neil’s sister, joined the team. The natural filtration results in a pure water that has been enjoyed by generations of farmers since the early 1800s. 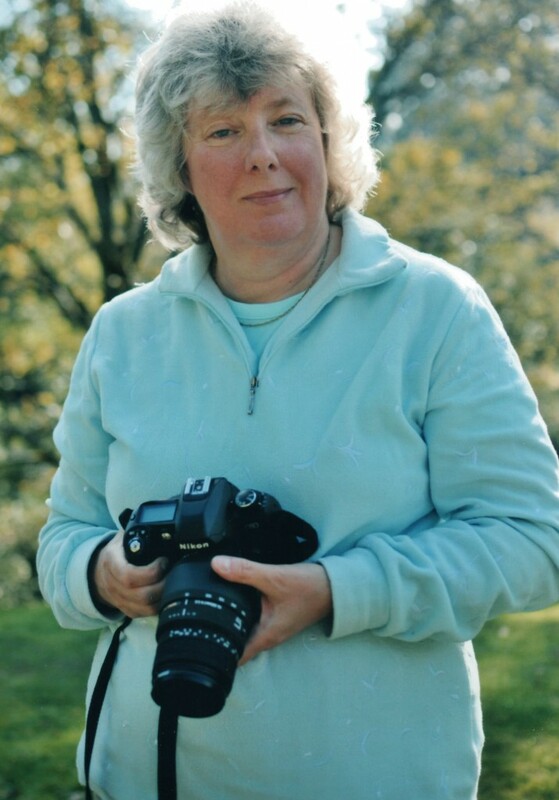 Val has lived in the parish of Ilsington since 1981. For over 40 years, Val has enjoyed holidays on English canals and she is currently part-owner of a narrow boat. 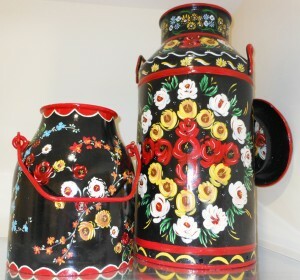 This inspired her to try her hand at the traditional “Roses and Castles” folk art of the waterways, blending some of the earlier 19th century designs with elements of her own style. Val paints mostly on recycled items producing both useful and beautiful items that make unique gifts. As well as this, Val is a regular volunteer at the Ilsington Village Shop. The Quicke family have been farming in Newton St. Cyres in Exeter for over 450 years. The dairy at Home farm is set in 1500 acres of stunning Devon countryside. 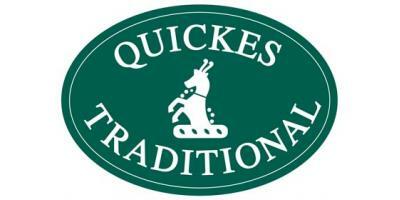 From mild to extra mature and vintage, there is a Quickes Traditional Cheddar to suit every palate. Skilled cheese makers work to original recipes dating back several generations to produce outstanding and award winning cheese.